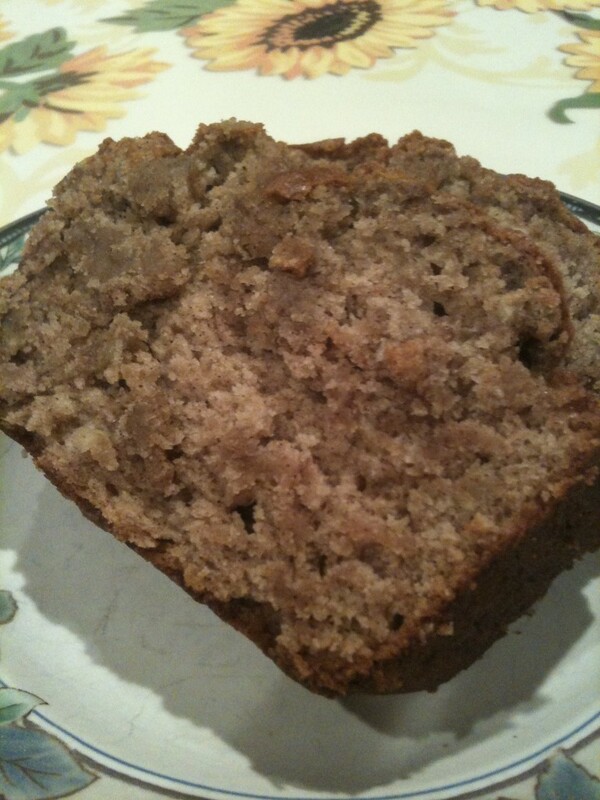 This weekend I decided to make some delicious banana bread. 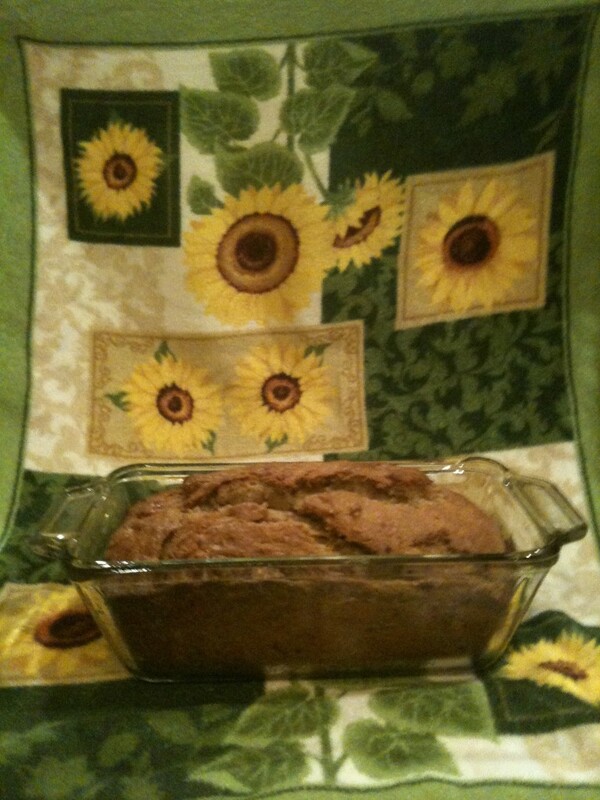 I found the recipe on Post Punk Kitchen; thank you for your wonderful recipe! Since my decision to make the bread was on-the-fly, I ended up using 1 ripe banana and 2 almost ripe bananas for the mixture. This was very easy to make and, except for cook time, only takes 10-15 minutes to prepare. note: the margarine I used was Earth Balance. by Isa Chandra … Awesome recipe! 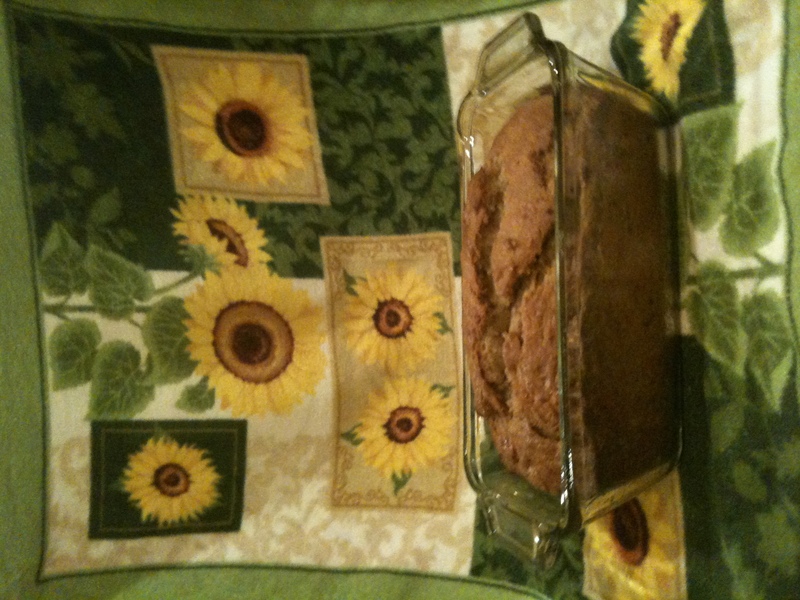 Preheat oven to 350 F. Spray a 8×4 bread pan with non stick cooking spray, or lightly coat with margarine. Sift together flour, baking soda, salt and spices; Cream together the margarine and sugars; Add bananas, soy milk and vanilla; Add the wet ingredients to the dry. Mix well. Pour batter into pan. Bake for an hour to an hour 10 minutes. It was delicious! Thanks again to the Post Punk Kitchen for posting the recipe! 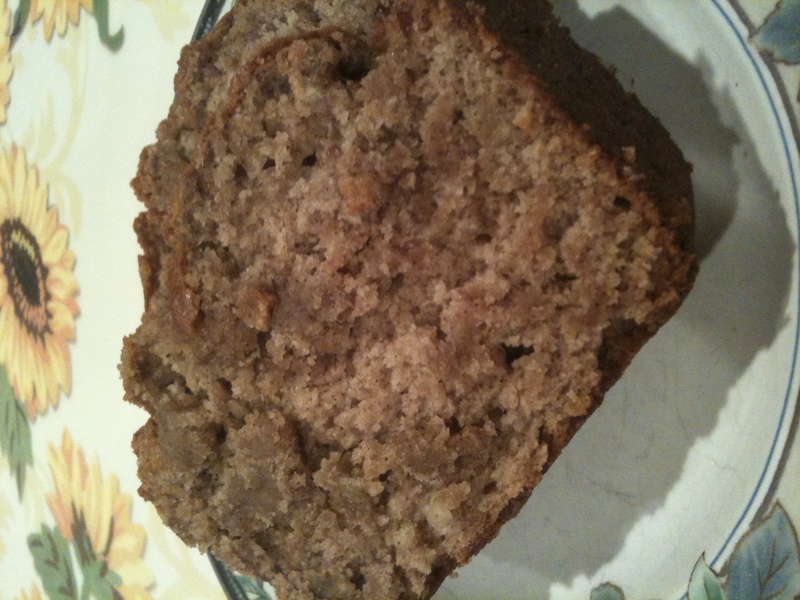 This entry was posted in Banana, Dessert and tagged banana bread, dessert. Bookmark the permalink.